These units are stock Genesis models, purchased in January 2006. The finish of these two units are just beautiful and are in details pretty accuarate to the prototype. 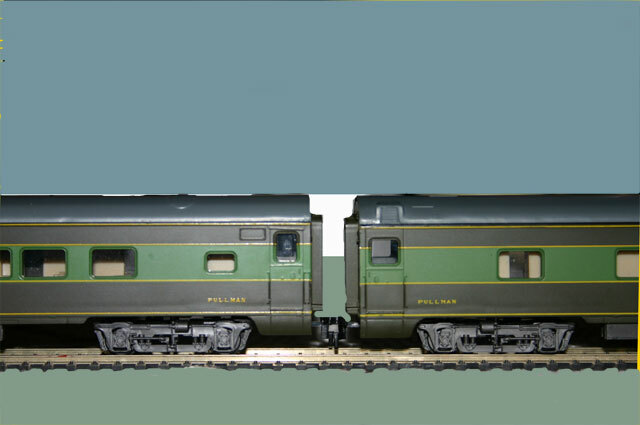 I managed to download an image of these units as they appeared in 1969, when a few modifications have been done. The skirt at the fuel tank was gone, the A unit had rungs over the short nose and different set up of horns. More mods included lift rings at the nose. The lift rings will be added on the model as I understand the F9.s were delivered with these. 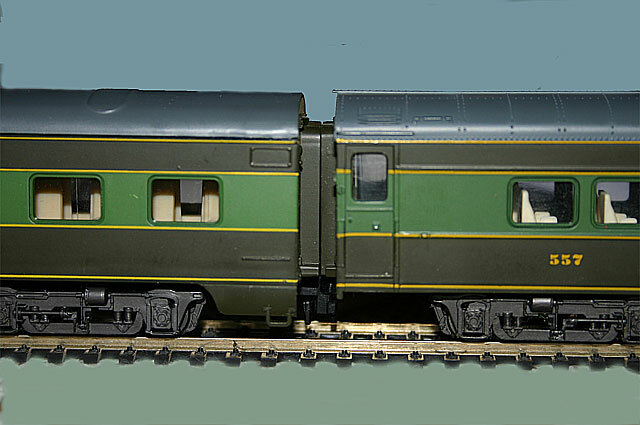 More current plans are to replace the couples on the front of A-unit to Kadees and Katos between the units to makes sure units stay coupled. Naturally trucks and underbody details will be weathered. Plans are to add a second pair of units to form a classic ABBA lash up. 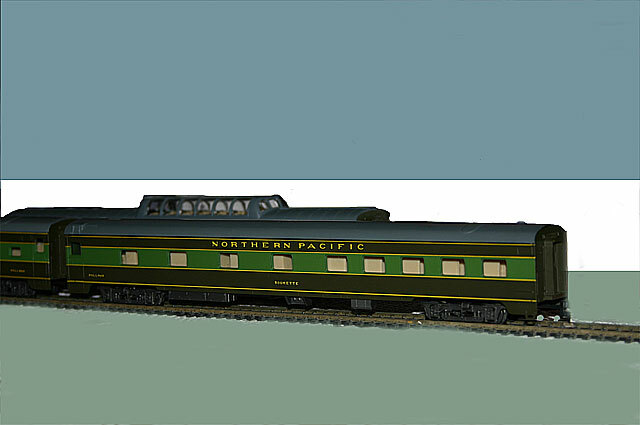 I won these three cars in a auction, the price was again just right and the cars, a square ended Pennsy observation, a dome car and a "roomette". These were decked out in Pre Loewy paint and were in pretty good shape. 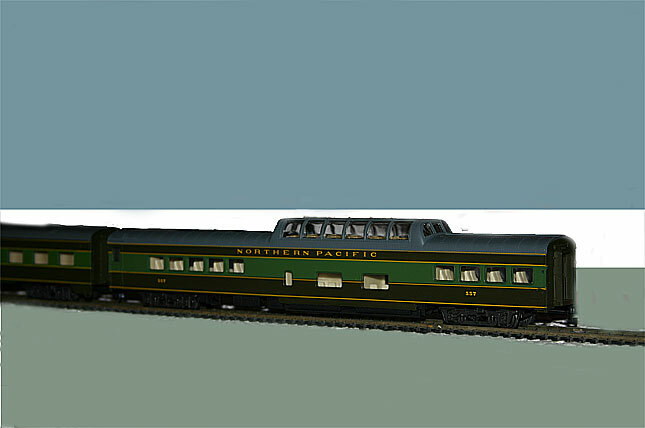 What I really wanted ws the dome and the "roomette", as Walthers have not yeat offered a dome car in smooth side variation and I figured the car would look right as a space filler for a future consist. The cars really despite being scale sized, show that their dsign are now dated. TOdays standard does mean more separate parts and and much smaller gap between the cars once coupled. I gues the drawbars will be shortened to allow this. Bu then again I guess the cars were designed to operate on modest curv ratios common on European layouts.